There is nothing more fun than shaking up a snow globe. Most kids are delighted to play with a real snow globe, but the glass lid and water contained inside can be a dangerous combination with little kids! 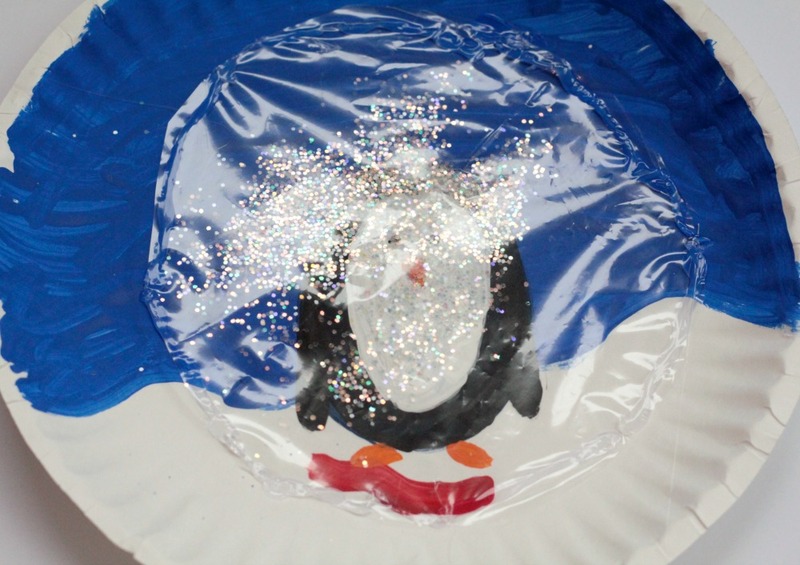 Instead of playing with a real snow globes, kids can make their own paper plate penguin snow globe using just a paper plate and some craft supplies! The secret to the “globe” is a plastic sandwich bag! Once the snow globes dry, kids will get a kick out of shaking up their globes. Before we begin, though, I would like to recommend a few fun books about penguins, or, with penguins as the main character -these will go great with your activity! 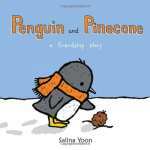 Penguin and Pinecone Penguin on Vacation The Emperor’s Egg: Read and Wonder National Geographic Readers: Penguins! 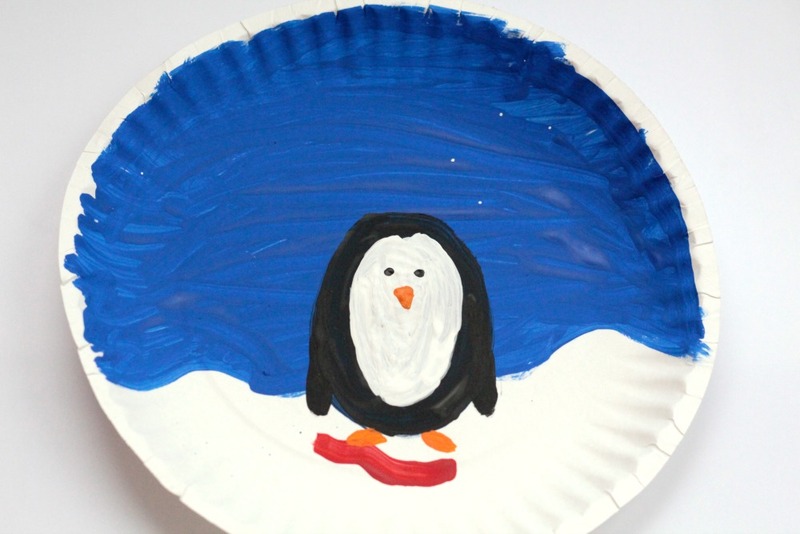 Let the kids paint a picture of a penguin onto the front of their paper plates. Ours has a blue background to help the glitter “snow” show up better. Let the kids embellish their penguin however they like. 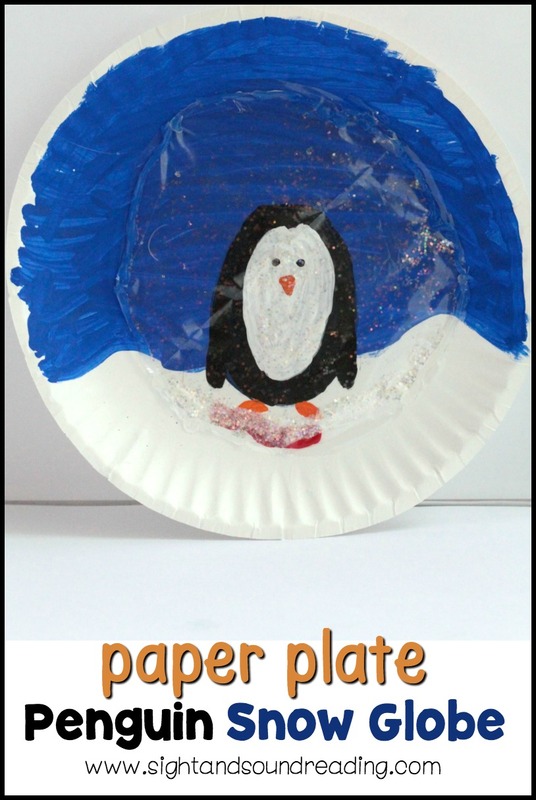 You can also use a paper or foam penguin in the center of the plate, or let the kids draw their penguins with crayons to make the activity happen faster. 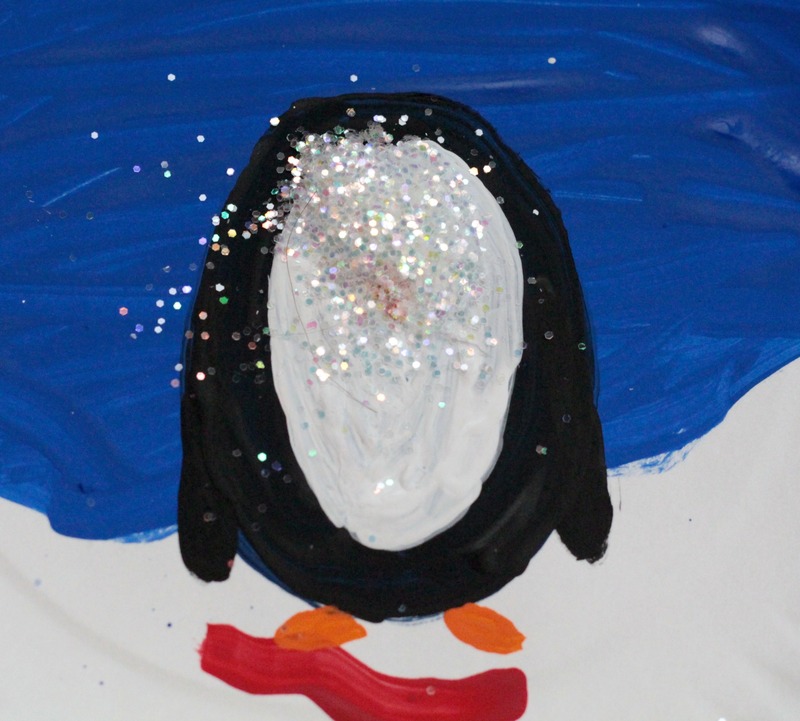 Once the paint is dry, place a small pile of the white glitter on the penguin. An adult should cut out a circle from the plastic baggie just as large as the center circle of the paper plate. Instruct the kids to draw a line of glue around the center circle outline of the plate. Don’t place glue in the center of the plate or the glitter will clump and the craft won’t look like a real snow globe. Carefully place the piece of plastic over the glitter and glue. Make sure all edges are completely sealed. Let the glue dry completely before shaking. 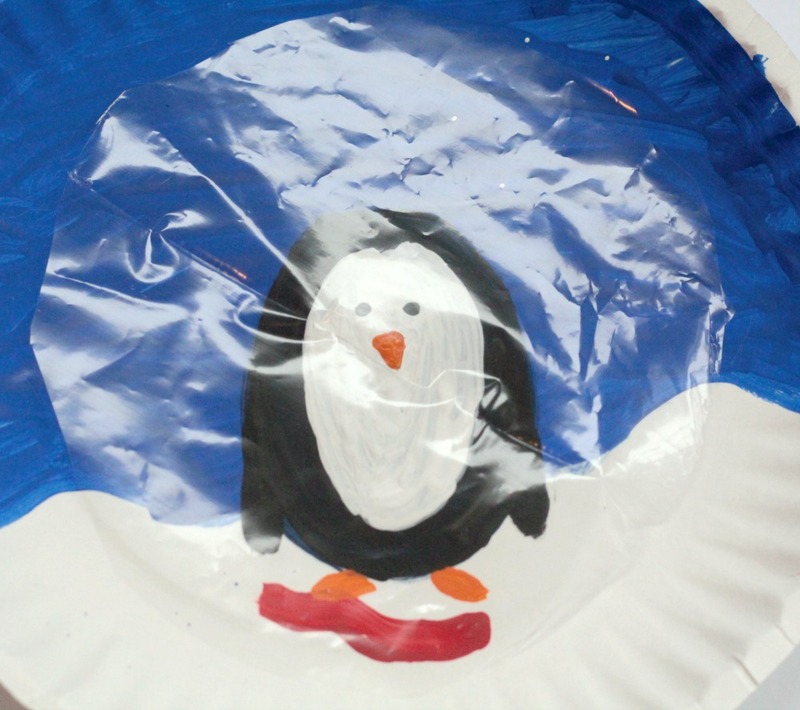 Once the glue dries, let the kids shake their new paper plate snow globes to make it snow! nice craft, easy for my 4 year old to do, but instead of the baggie, I will glue on the clear cover of the tin plates from take-out food. Great idea! Thanks for sharing! 🙂 Have fun and enjoy!